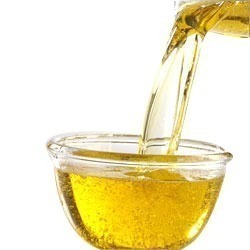 We are a leading Wholesale Trader of flax seed oil, almond oil, ajmod/ celery seed/ apium gravolens, castor oil, til oil and linseed oil from Delhi, India. With the efficient support of our procuring agents, we are capable of offering a wide gamut of superior quality Flax Seed Oil. Our professionals ensure that the complete range is specifically procured from distinguished vendors of the industry who stringently follow all the established norms and standards of the pharma industry.Highly effective, free from any kind of side effects, safe to consume, unadulterated and natural, the range offers satisfactory results in problems related with following. Primarily meeting the demands of the pharmaceutical industry, our range of Almond Oil offers numerous benefits for skin, hair and brain. 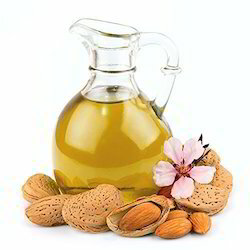 Rich in vitamin and other nutrient, the oil offered by us is hygienically extracted making use of fully matured and healthy almond fruit by our vendors. Moreover, they incorporate advanced techniques so that the range retains all the properties of the fruit. High Source of Flavonoid Antioxidants. Provides Beneficial Essential Oils That Fight Cancer. Acts as Natural Diuretic and Helps to Relieve Bloating. May Help Fight Kidney Stones, Urinary Tract Infections and Gallbladder Infections. Has Antibacterial and Antifungal Properties. 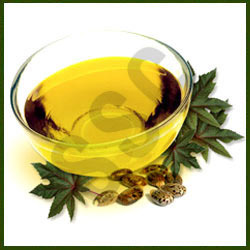 With firm commitment to quality, we offer pure and effective gamut of Castor Oil, which is stringently procured from some of the reputed vendors of the industry. Our vendors ensure that the oil is hygienically extracted from healthy and unadulterated castor beans. Moreover, they pack the complete gamut in air tight and quality material so as to avoid any kind of contamination during storage and transit. 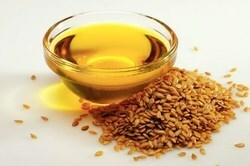 We supply a range of Til Oil that is also known as Sesame oil is an edible vegetable oil. 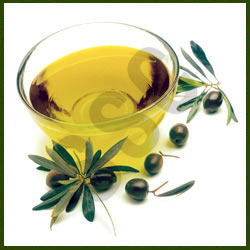 This oil also know as "Gingelly or Sesame Oil". Sesame oil is one of the few oils recommended for use in oil pulling. As the name suggests, these are extracted from natural herbs and are free from harmful chemicals. To ensure the quality and purity it undergoes double machine filtration that makes is free of any residues. Vitamins : Sesame oil is a source of vitamin E.
We have established ourselves a pioneer entity in the sphere of sourcing and supplying quality approved Linseed Oil. 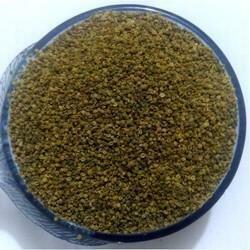 This colorless to yellowish oil is hygienically extracted by our vendors from the dried ripe seeds of the flax plant. Further, the range is subjected to rigorous checks and tests to ensure its compliance with industry defined standards and optimum quality. Looking for Essential Oil ? Chitraka Mula / Plumbago Zeylanica/ Anacyclus pyrethrum DC.